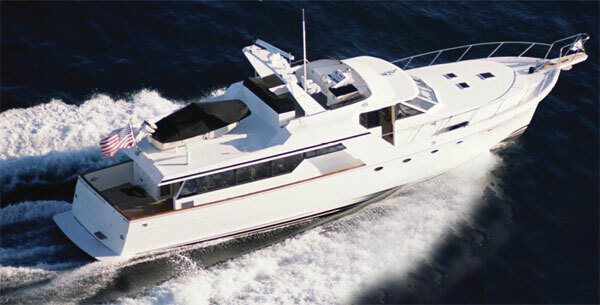 AMC Cliffv’s Marine Service specializes in Espar heaters, marine heat pumps, A/C systems and refrigeration. We also carry an assortment of portable freezers and wine coolers for your entertainment needs on the go! American Marine Contractors first opened its doors in 1980. The company was built out of the need for a full-time person to service the growing yachting community in the Northwest. Beginning with just a sole proprietor who also did all the service work, American Marine Contractors started as a Marine Air service/dealer center, eventually taking on Cruisair products as well and now encompasses the entire Dometic line of products. The company eventually grew out of its one man operation when Cliff Valentine joined the company in 2000 as a service technician. With over 10 years worth of experience in the marine industry, Cliff eventually acquired American Marine Contractors from its original owner making it AMC-Cliffv’s Marine Service. Cliff started in the mid-90’s as an Espar, Webasto and Hurricane technician. During this time he learned and honed his experience with marine heating systems and Espar heaters. Through the years, he attended several training classes educating him about the specifics of the various brands. In 2013, Cliff was given the opportunity to become a distributor for Espar in the Pacific Northwest. Since first becoming an Espar distributor, AMC Cliffv’s has seen an increase in sales, service and training classes every year. We have grown to have one of the largest inventories for Espar heaters and parts on the West Coast, as well as a leading source for technical information regarding Espar heaters with a focus on marine heating systems. We now offer a yearly Espar training course to educate other technicians and dealers in Espar heating systems. While we specialize in marine Espar heating systems, we can assist with all your needs for various heating applications. AMC still offers the same high quality service that its customers have relied on for over 20 years. Since we first opened our doors, we have added new product lines such as Espar (Eberspächer) and King heaters, Grunert, the Dometic line of portable freezer/refrigerators (including portable wine coolers) and Origo products for your cooking needs on the go! We’ve gone from a one man operation to a three person team. Robin, our office manager, can assist you with parts, work orders and general questions. We’re committed to becoming the Northwest’s one stop shop for all of your marine air conditioning, heating or refrigeration needs. Whether it’s replacement parts, new stock or service that you need, AMC-Cliffv’s can get the job done. AMC-Cliffv’s is always looking for qualified dealers to help with your service needs. If you know of a good A/C person out there, we’d like to meet them.